Morag is an employed barrister at Mishcon de Reya LLP. She completed her pupillage at QEB Hollis Whiteman. 1. Tell us about your route to becoming a barrister? I always wanted to be a barrister. There is a science to the art of persuasion. I enjoy the ability of an advocate to convince strangers of their client’s position using through their oral and written submissions. In terms of my academic route, I studied Law with French at Newcastle University which included a year’s study in Montpellier. I then completed a Master’s degree in Corporate and Financial Crime at the London School of Economics. I went on to complete the BVC at the College of Law. Unlike most of my peers, I did not have a pupillage secured when I started the BVC course. I took every opportunity to involve myself in mooting competitions, events and organisations that would make my application stand out as well as speaking to as many barristers as I could to gain insight as to what was required of a pupil. 2. Why did you choose to work in house rather than in a chambers? What are the benefits and challenges? I loved being in chambers, however, I recognised that a barrister is all too often brought into a matter at the end of the dispute. I wanted to better understand what happened before a trial became inevitable and seek to influence the trajectory of a matter at an earlier stage. I also enjoy the longer-term relationships that you can build with a client. In terms of challenges, chambers is a very different environment to being in-house. I therefore had to adapt from being self-employed to being part of a larger organisation with its own processes and procedures. 3. Why did you choose to move Mishcon de Reya? My days are so varied. I work within the tax disputes team at Mishcon de Reya. I spend my time evaluating tax law changes, collaborating with co-workers on the tax consequences of transactions, interacting with clients and HMRC and preparing cases for mediation or trial. It’s an exciting area of law that allows you to apply both a creative and technical approach to problem solving. 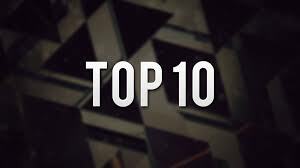 5.‎ What’s your top piece of advice for young and prospective barristers? Be yourself. When people think of a barrister, they have certain image in their head and often prospective barristers try and emulate that. If you fit that mould, great! If you don’t, that does not preclude you from being a barrister. Understand what makes you stand out and an asset to the profession. Once you do, you will gravitate towards the right roles and decisions for you. I think some of the most interesting cases were those I assisted on as a pupil. One particularly fascinating case was the prosecution of a man charged with the murder of a woman whose body was found in a suitcase at Heathrow airport. He was caught on CCTV dragging the heavy suitcase through the airport car park. He was the first person ever to be extradited from Bahrain to this country. His legal representatives had argued double jeopardy on the basis that he had been convicted of the murder in his absence in Lebanon in 2001 (and sentenced to death), and that his extradition from Bahrain had been unlawful. 7. If you had a choice between two superpowers – being invisible or flying which would you choose? Why? Flying. It would enable me to avoid public transport in the mornings.